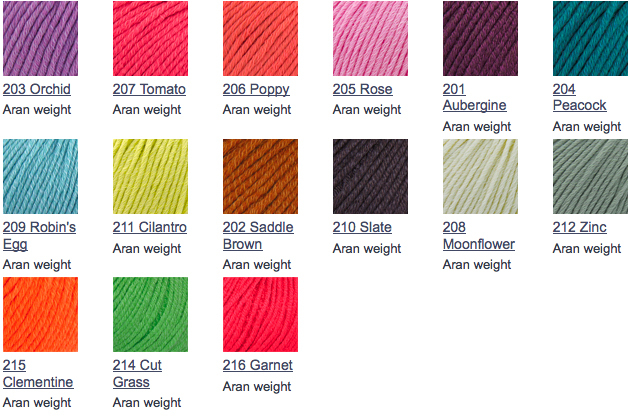 The Yarn Barn LLC: YARN: BELLE ORGANIC ARAN by Amy Bulter for Rowan 30% OFF! YARN: BELLE ORGANIC ARAN by Amy Bulter for Rowan 30% OFF! Amy Butler Belle Organic Aran is On Sale! This beautiful yarn is a blend of 50% Organic Wool and 50% Organic Cotton, which makes for the perfect combination of softness, drape and wear. This blend offers incredible verstility and all-season appeal.